Sunday, October 4, 2009, at the Holiday Inn on 57th Street in NYC. A limited number of 6′ and 8′ tables available but book tables asap. ELAINE DUILLO, famous cover artist. LINTON BALDWIN, Lion Books crime author. ANNETTE & MARTIN MEYERS, mystery author couple who also write as Maan Meyers. SANDY KOSSIN, classic vintage paperback cover artist. JACK KETCHUM, horror and fantasy author. C.J. HENDERSON, crime, fantasy and SF author. 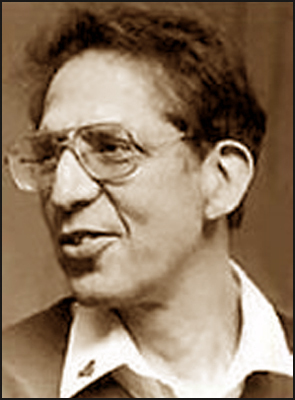 MARVIN KAYE, fantasy author and Sherlockian anthologist. PETER STRAUB, masterful horror and fantasy author. MORRIS HERSHMAN, Manhunt author and soft-core author as Arnold English. KEN WISHNIA, hard crime mystery author. MARCUS BOAS, fabulous fantasy artist. ANN BANNON, Famous Gold Medal author of lesbian pulp novels. Several of the projected attendees slated for the Expo above have Howardian connections. Not least among them is Gary Lovisi, publisher of Gryphon Books and organizer of the event. Lovisi is a devotee of REH and has worked with former REHupan and Friend of The Cimmerian, James Reasoner. He has also published Richard A. Lupoff’s Barsoom, a thoughtful look at Edgar Rice Burroughs’ seminal science-fantasy creation. Elaine Duillo, by all accounts, is a fascinating and talented woman. She broke into the field of paperback cover-art when it was absolutely dominated by male painters. She also happens to be the wife of John Duillo, who was the “Other Conan Artist” for the Lancer editions. I don’t know of any direct linkage to the Man From Cross Plains when it comes to Jack Ketchum. He is a damned good horror author and seems to get mentioned in the general vicinity of REH (google-wise) on a fairly regular basis. Birds of a feather, perhaps. He might have revealed a liking for Howard in Book of Souls, but I know not one way or another. Someone oughtta ask the man straight out, since he was obliging enough to make himself a static target for one day in this year’s lonesome October. Author C.J. Henderson is a long-time admirer of Two-Gun Bob. His “Teddy London” tales (the newest novel concerning which is imminent) owe a debt to Steve Harrison (as well as Conrad and Kirowan), in my opinion. Henderson also, allegedly, has a sword-and-sorcery novel in the works. Marvin Kaye, as an editor, has chosen Robert E. Howard yarns for publication in the past. His own oeuvre is centered primarily in the realms of horror and fantasy (with a sideline in Doyle, one of Howard’s favorite authors). Another guy to button-hole at the Expo regarding his thoughts on REH. I’ve covered Peter Straub’s contribution to forcing Robert E. Howard down the gullet of the literary establishment elsewhere. Somebody needs to walk up and shake his hand (or buy him a beer). Writer Ron Goulart is fairly notorious for his put-downs of Robert E.Howard, and rightly so. Still, I’ve enjoyed his “Star Hawks” and “Gypsy” stories. Marcus Boas is an unabashed fan of REH. He rendered paintings for several Donald M. Grant volumes dedicated to Howard’s fiction. Honestly, considering how little I’ve heard about this exposition up ’til now, Gary Lovisi has put together a surprisingly strong line-up of guests, especially if one is a mystery/hard-boiled fiction fan. I would definitely consider attending if I lived twelve hundred miles closer. Centipede Press – Coming soon! In the works from Centipede Press is a retrospective about the writers from WEIRD TALES, called CONVERSATIONS WITH THE WEIRD TALES CIRCLE, which is a massive 600-page book about the writers from that era: H.P. Lovecraft, Robert E. Howard, Clark Ashton Smith, Frank Belknap Long, Fritz Leiber, Ray Bradbury, Bloch, Munn, Derleth, Seabury Quinn, Henry Kuttner & C.L. Moore, tons of other people. There are all new portraits of the writers, interviews with them, essays by and about them, tons of photographs, letters, postcards, WEIRD TALES covers and histories about the artists, all sorts of goodies. I have yet to purchase a book from Centipede Press, but this certainly sounds promising. Robert E. Howard did not write in a vacuum. Neither did Lovecraft nor Clark Ashton Smith. All influenced each other and all three were influenced to one extent or another by contemporaries like Quinn, Derleth and Moore. There was a free-wheeling give-and-take which characterized the best fiction produced during the first fifteen years of Weird Tales’ existence. It grew out of admiration and competition between the magazine’s contributors. They read each others’ work, took what they liked and then tried to top it. The influence of the “Dark Trinity” of Weird Tales upon subsequent generations of writers is, of course, legion. It would appear that Centipede Press is attempting to chronicle and illuminate that peculiar time and place (and the fascinating talents that made it so special) in a very thorough fashion. That’s a tall order. If they pull it off, I definitely look forward to reading Conversations With the Weird Tales Circle.